Starting next week, I am going to try something new. I am launching a series on my blog called “7 Days, 7 Tips”. 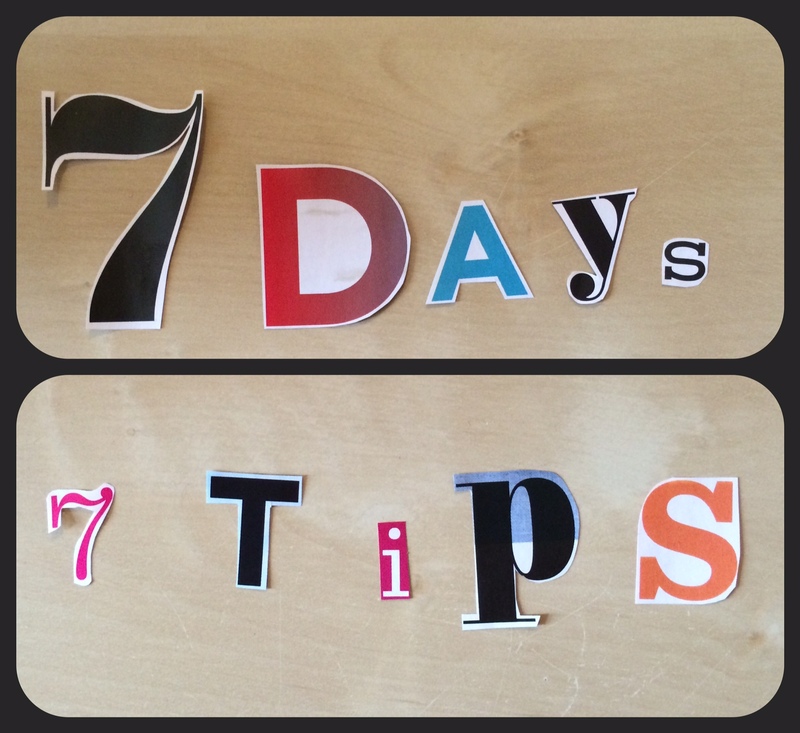 As the name suggests, over the course of 7 days, I will be writing 7 blog posts on 7 tips. The 7 tips will all be on the same topic. I am hoping to make the series re-occurring, either monthly or bi-monthly. I already have some upcoming topics in mind for the series, but for the launch next week, the topic will be “Anxiety”. From February 2nd till February 8th, I will write a blog post everyday with a tip on how to deal with anxiety. Some future topics I have been planning include “Student Financial Tips”, “Healthy Eating”, and “University Applications”. But first, I am very excited about the topic next week. I hope it sounds interesting to some of you, and that you will visit my blog next week to read about my tips regarding dealing with anxiety. Do you have any future topics that you would like me to give tips on? If so, let me know! Take Me to the Fair.